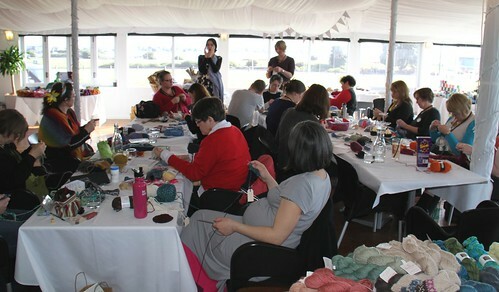 It's that time of year again... Time to register for Napier's own bespoke retreat for knitters: Knit August Nights! KAN2013 is on track to be even bigger and better than previous years, and that's saying something. I attended last year, and had such a wonderful time, taking classes, learning new tricks, meeting heaps of knitters, and buying lots of lovely wool. I was big as a house, being 8 months pregnant, but that didn't stop me from joining in. Here you can see me right at the front. 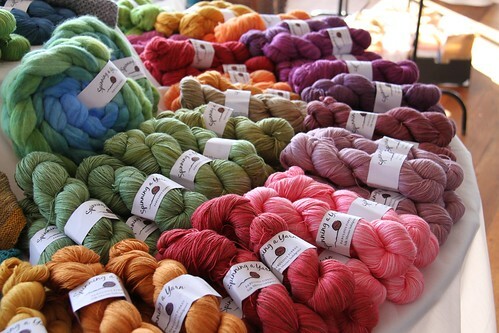 Oooh, look at all that lovely yarn on the table behind me. All these photos are from KAN maven Maree's flickr stream. And don't be fooled by the name... 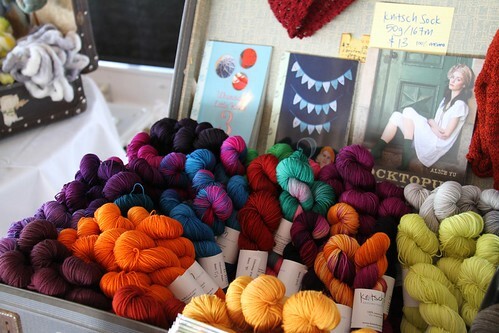 Besides knitting there are other crafts like spinning and crocheting. I hope to see you there!